I believe in dreams and in romance, which is why I was first captivated by Mills & Boon romances years ago, and why today, I am thrilled to be writing them! And then teaching and raising my children seemed to swallow up all my time. So, my romances went into a dormant stage, nestled within the cozy confines of my filing cabinet. While they lay resting, my desire to be a writer did not. I slowly began to lay the foundation for a career in writing: joining a writer’s group, taking writing workshops, reading as many books as I could on the art and craft of writing, continuing to read romances and other genres, going to writing conferences, and throughout, submitting stories for contests and anthologies. And happily getting stories published here and there, with a novel to be released in fall 2018. I believe in synchronicity, and the power of believing. I had a dream years ago about writing Mills & Boon romances, and when I saw the writing blitz post after re-discovering one of the romances I had started, my dream re-ignited! The post was encouraging writers to submit a synopsis and first chapter of a romance featuring a Canadian hero. I read over the few (handwritten!) chapters I had and was surprisingly pleased with what I had written, and how the story still captivated me. Could I continue from this point? Revisit my synopsis and rework the initial chapter? I was up for the first challenge! My husband had always encouraged me to believe in myself as a writer. I had retired from a successful and satisfying career as a teacher (another dream) and was ready to participate in this exciting opportunity! I met the deadline and waited, wondering if my submission would pass the first test . . . When I received the positive email from editor Victoria Britton saying that she would like to read the entire manuscript, I was stunned. Mills & Boon were interested! But would they be just as happy with the rest of the story, which I still needed to write? They were! The exciting response came some months later, followed by a call, which I believed was to discuss further revisions. When I was told that the real purpose was to inform me that Mills & Boon recognised my potential and was offering me a contract, I was floored. Stunned.Thrilled! Was this a dream? No! Yes! No, as in, it was really happening. Yes, as in, my dream about writing for mills & Boon had become true. As this all sank in, I was overwhelmed with joy. Some of my friends call me ‘the dreamer.’ I will always believe in dreams and romance. Mills & Boon romances take me to places I want to go physically and emotionally, which is why I love reading and writing them! Dreams do come true. 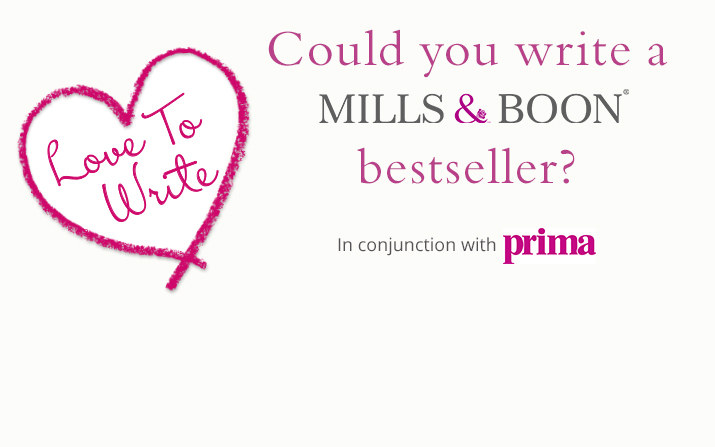 So if you are thinking of writing for Mills & Boon True Love, believe in yourself and submit during the Mills & Boon True Love Blitz! I am so happy that my first two Mills & Boon True Love romances—Swept Away By The Enigmatic Tycoon and Captivated By Her Italian Boss—will be available soon! And I look forward to writing more! May your Mills & Boon dreams come true! If you’re interested in writing for Mills & Boon True Love also known as Harlequin Romance (NA) and Mills & Boon Forever Romance (Aus/NZ), you can submit your first chapter and synopsis to the Harlequin Romance Blitz from from now until Valentine’s Day 2018 and get FAST editorial feedback by 21st February! Find out more details here.